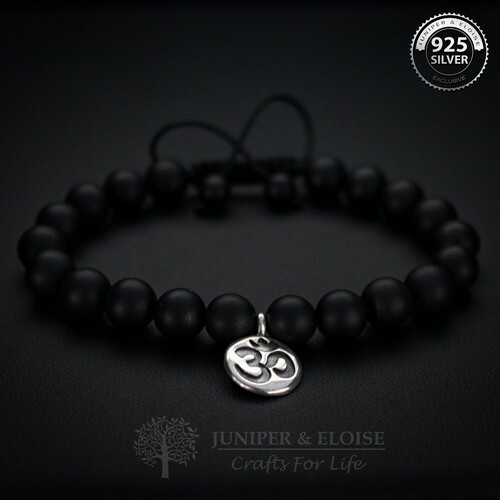 ★`His` bracelet features 8 mm Matte Onyx Beads with 925 Silver OM charm. 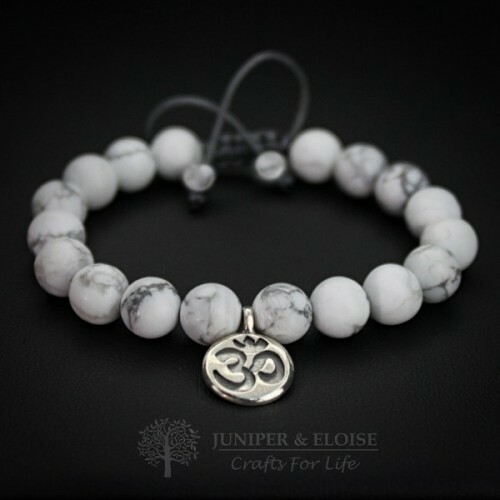 ★`Her` bracelet features 8 mm White Howlite beads with 925 Silver OM charm. Set of 2 Handmade Couple Bracelets.★`His` bracelet is made with 8mm matte faceted Onyx beads and fea..
Set of 2 Handmade Couple Bracelets. 'His` bracelet is made with 6mm gray/silver ceramic Mykonos..